Hello! My name is Mark Haley. Aviator Studio is a build log site for my Radio Controlled Sailplanes. 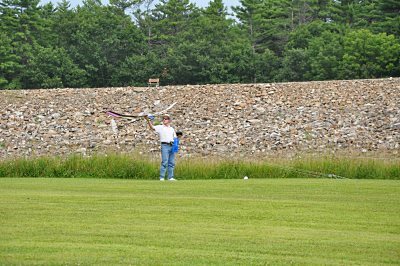 Over the years I have benefitted greatly from those who have posted information about various aspects of the hobby, and I humbly offer this website to add to that body of knowledge. Even though I am not some master builder, but just a guy with a camera and a website, it has been very gratifying to receive emails from all corners of the world from those who have found the information presented here to be a help. 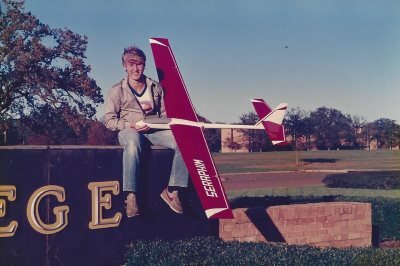 As I was doing some spring cleaning the other day I came across this picture of me in 1986 holding a self-designed glider I called the "Seraphim". I had drawn the plans, molded the fiberglass fuse and the coolest part of all? I used balsa that we cut down in the jungle, floated down a river, dried in the attic and sawed into boards ourselves! 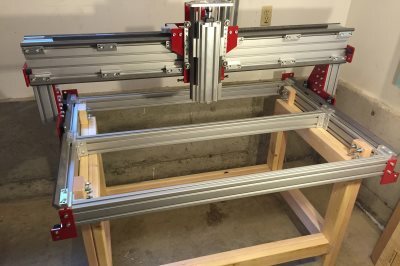 I'm finally making some progress on the assembly of my CNC Router Parts PRO4824 CNC machine. I have commandeered the other corner of my garage for the permanent installation of the machine. As you can see, the basic parts of the machine are assembled. I've been using a new launch method recently. It's called a OneWinch and it is made by GessWork. 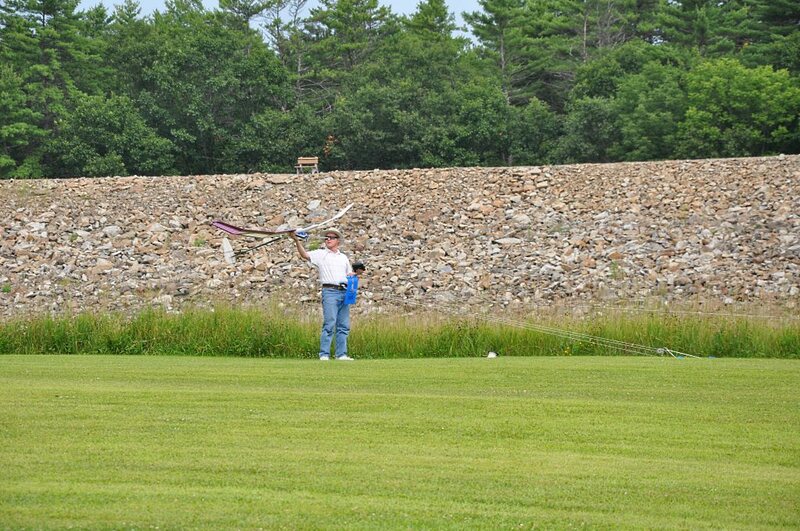 I think it's a pretty cool way to launch your glider, so I did a write-up on using the OneWinch and added it to my "Tools" menu. Bubble Dancer #2 sitting pretty on the lawn. 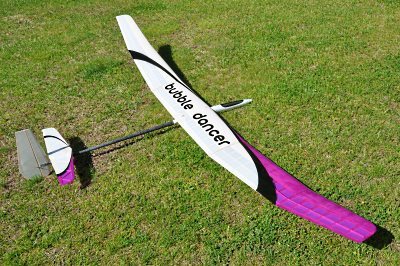 As detailed on this website, this sailplane features 100% custom construction - custom fuselage, custom tailboom, custom v-mount, hand-cut ribs, etc. It's been quite a journey! 2014 brings a completely re-worked site featuring all the content that I was working on in 2013. I have finished a new Bubble Dancer, this time incorporating all the lessons learned while making my first one. 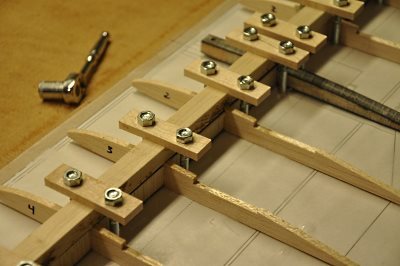 The biggest alteration to my build method involves the use of a whole-wing jig of my own design. The jig is simple to make, simple to use and best of all, allowed me to go from 1st rib down, to a completely Kevlar wrapped wing (all 5 panels) in less than 24 hours! Dec. 17, 2016: I moved to a new house in October and now need to re-establish my workshop... Hope to get back to things soon. Aug. 8, 2015: Added link to Norbert Roescher's e-BD build on home page. 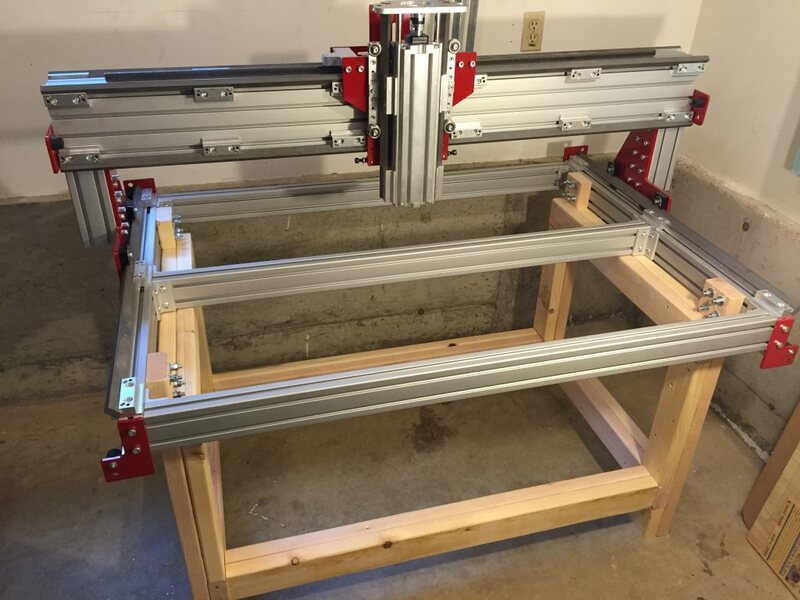 June 15, 2015: Added 1986 picture and CNC Machine update picture. March 6, 2015: Hard at work on various projects: Digital Modelling, CNC machine assembly, Helping son make a full-size pinball machine! 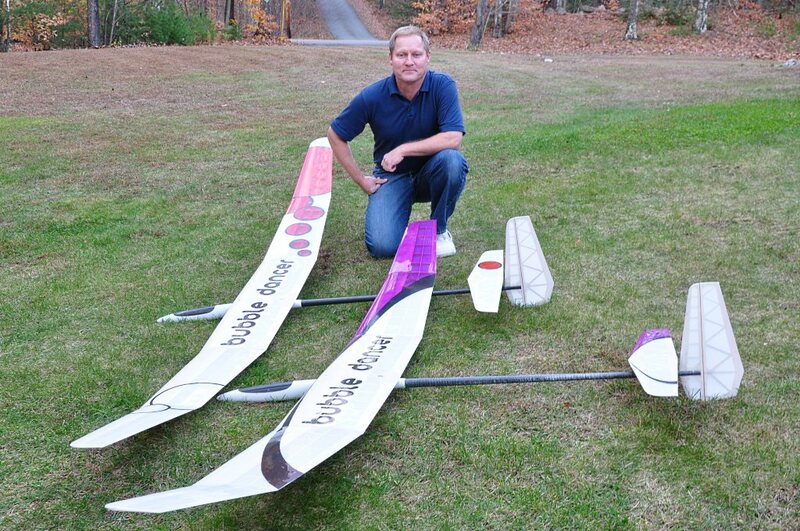 Nov. 20, 2014: Added the plans for my custom Bubble Dancer fuselage pod to the Documents page. Nov. 12, 2014: Added a new Build Summary page. Aug. 10, 2014: Added new OneWinch page to the Tools Menu. June 8, 2014: First pictures BD #2... Added new Covering page. June 5, 2014: Added new Wing Joiners page and finished the Fin & Rudder and H. Stabilizer write-ups. Jan. 21, 2014: New Bubble Dancer - Wing Jig Build Menu and submenu added. A year's worth of new content!